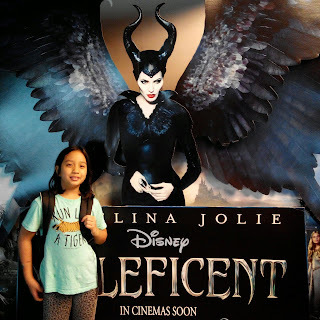 The story is fun, touching, sad and triumphant..my little girl shed a few tears for the misunderstood Maleficent. I personally would give the movie 4.5 stars..
Spoilers ahead... If you haven't watch the show and don't want to know yet how the story is.. Do not read anymore!!! Once upon a time, in a faraway land, there were two kingdoms. One was ruled by the ruthless King Henry, while the other - known as the Moors - was home to magical creatures, such as fairies. 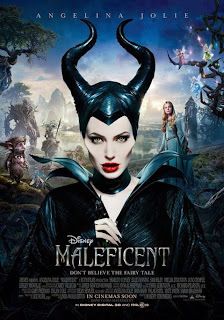 The most powerful fairy of all was named Maleficent. One day, the Moors was disturbed by the presence of a young peasant boy named Stefan, who had escaped there after stealing a precious gem from the human kingdom. As the Tree Warriors cornered him, Maleficent showed up and told him to hand over the stolen gem, which he reluctantly does. After tossing it into the water, she escorted Stefan to the borders of the Moors. They admit to each other that they are both orphans, and meeting each other is forbidden to both their worlds. However, the two of them eventually become the best of friends, and on Maleficent's sixteenth birthday, Stefan showed her true love's kiss. Over the next couple of years, Stefan stopped visiting the Moors for some reason, and due to the threatening attacks on Moors by King Henry, Maleficent becomes her homeland's sworn protector. With the forest army by her side, she engaged the King's army in battle, defeating them and wounding the King. On his deathbed, the King demanded to be avenged. 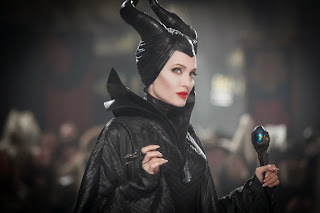 He promises that whoever kills Maleficent shall become the new king and marry his beautiful daughter Leila. It is revealed that Stefan has become one of the king's servants and, wanting to claim the throne, he journeys to the Moors to find Maleficent. The two are reunited and spend the night together like they used to. Stefan tricks her into taking a drink that puts her to sleep and after she falls into her slumber, Stefan makes the attempt to kill. However, he hesitates and cannot bring himself to do it. So instead, he cuts off her wings and presents them to the dying king, leaving Maleficent in agony. After creating a staff to help her walk, she journeys to an abandoned castle where she hides in the shadows, broken and alone. One day, she comes across a farmer who has captured a raven. Taking pity on the small bird, she turns the raven into a man. After the farmer runs away in fear, Maleficent approaches the human bird, who introduces himself as Diaval. Since she saved him, he offers to be her humble servant and Maleficent gives him his first task: to find Stefan. Diaval flies to the castle and witnesses Stefan being crowned king, with a woman named Leila being his queen. When he informs Maleficent of what he has learned, she becomes enraged. She returns to the Moors as dark clouds loom across the forest, then, after roots form a throne, Maleficent sits there as the new Evil Queen of the Moors. One day, Queen Leila gives birth to a daughter, and she is named Aurora after the dawning of the sun. A royal christening takes at the castle. Three pixies - Knotgrass, Thistlewit and Flittle - bless the infant princess with magical gifts. Then, just before Flittle could present her gift, Maleficent shows up. Still disgusted by what Stefan did to her and a little distressed at not receiving an invitation, she curses the princess to fall into a sleep-like death by pricking her finger on the spindle of a spinning wheel on her sixteenth birthday. However, when Stefan begs her to spare his daughter's life, Maleficent softens her heart and also includes that the curse can be only lifted by true love's kiss. No power on earth can change it. Stefan has every spinning wheel in the kingdom burned and locked away in the deepest dungeon. He also has the three pixies take Aurora into hiding. They take her to an old cottage and pose as her three human aunts. As the years pass, Maleficent watches over the young princess and Despite her initial hate for the little "Beastie", she reluctantly takes care of her from afar when the Pixies are incapable and struggling to live like humans. In the meantime, Stefan becomes extremely paranoid and obsessed in hunting Maleficent down. Unfortunately, Queen Leila becomes gravely ill and dies, but Stefan is so consumed by his desire to kill Maleficent that shows no grief over his queen's death. By the time Aurora turns fifteen, she finally comes in contact with Maleficent, believing she is her fairy godmother as she recalled being watched over by her all her life. Maleficent allows Aurora to spend more time in the Moors with her and the other fairies and two eventually develop a mother and daughter-like relationship. After returning her home and putting her to bed, Maleficent tries to remove the curse from her herself, but she is unable to since no power on earth can lift it but true love's kiss as she mentioned before. On the day before Aurora's sixteenth birthday, Aurora has decided to stay in the Moors with Maleficent, which she happily accepts. As Aurora returns home, she meets Prince Phillip and it instantly becomes love at first sight. 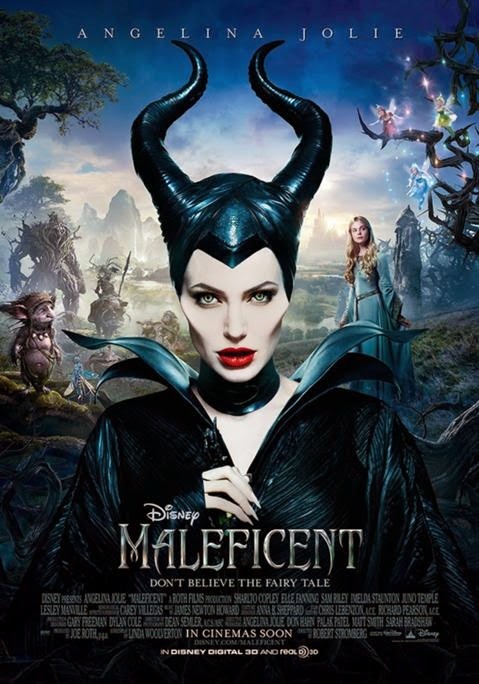 Diaval sees him as the key to lift the curse, but Maleficent disagrees as there is no such thing as true love. However, after the pixies reveal the truth to Aurora, she sadly returns to her father after Maleficent admits the truth of her identity. Feeling ashamed, she decides to take the chance that true love will be her only hope and goes looking for Phillip. Even though he is happy to see his daughter after nearly sixteen years, Stefan is still furious at the pixies because they were supposed to bring her back after her sixteenth birthday. He has her locked up and prepares for Maleficent to arrive. As the sun begins to set, the curse begins to call Aurora. She follows a whispering voice to the dungeon where all the spinning wheels in the kingdom were burnt, while Maleficent hurries to the castle with Phillip in a trance. However, her attempts to reach her are all in vain; Aurora pricks her finger on a spindle and falls into her death-like slumber. As night draws, Maleficent and Diaval sneak inside the castle with Phillip and bring him to the sleeping Aurora. Hiding in the shadows, she watches as Phillip approaches her and leans over to kiss her. Unfortunately, nothing happens and Aurora remains asleep. After the Pixies drag Phillip out to find someone else to kiss her, Maleficent comes out of hiding and looks upon what she has done. She was lost in hatred and revenge that she forgot about love and happiness until she met Aurora. In tears, she kisses Aurora on the forehead and bids her goodbye, but before she can even leave a miracle happens: Aurora wakes up happy to see her fairy godmother. Maleficent's motherly love for Aurora was enough to break the curse. As the three of them attempt to flee the castle, Maleficent is captured by Stefan's men. Aurora tries to save her, but the castle guards overpower her and Diaval. Maleficent turns him into a dragon and he manages to fight off the guards. Aurora flees as Maleficent and Diaval fight the guards, but they are pinned down as Stefan enters the scene. He takes his time killing her by brutally torturing her. Then, after pulling out his sword, he prepares to finish her off, but just before he can impale her, Maleficent's wings return to her after Aurora frees them. With her wings back, she is able to fly and free Diaval. Maleficent and Diaval easily take down Stefan's guards. Only the treacherous king is left standing. She easily overpowers him and just as she is on the verge of killing him, she spares him, claiming: "It's all over." However, Stefan refuses defeat and jumps on her. The two fall from a tower, but Maleficent manages to become airborne, leaving Stefan to fall to his death. With peace finally made between the two lands, Maleficent passes her crown to Aurora, making her Queen of both the human and fairy kingdoms, forever unifying them, as Phillip looks on. The story ends with Maleficent happily flying through the skies with Diaval by her side. singgah blogwalking kat sini. . . .